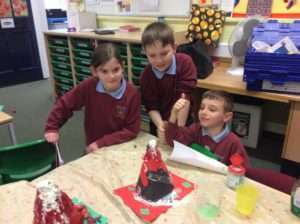 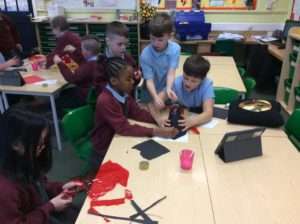 On Friday we researched different ways of creating a working volcano. We used the internet to look in to the different ways we could try to make a volcano erupt using every day items. We found a number of different ways, the most popular being using a fizzy drink and mentos mints. 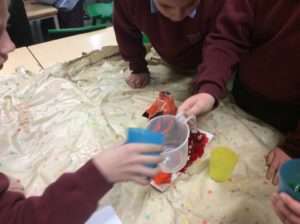 We evaluated this method as a class and realised although we did want to create a large eruption we also needed to be safe in the classroom. 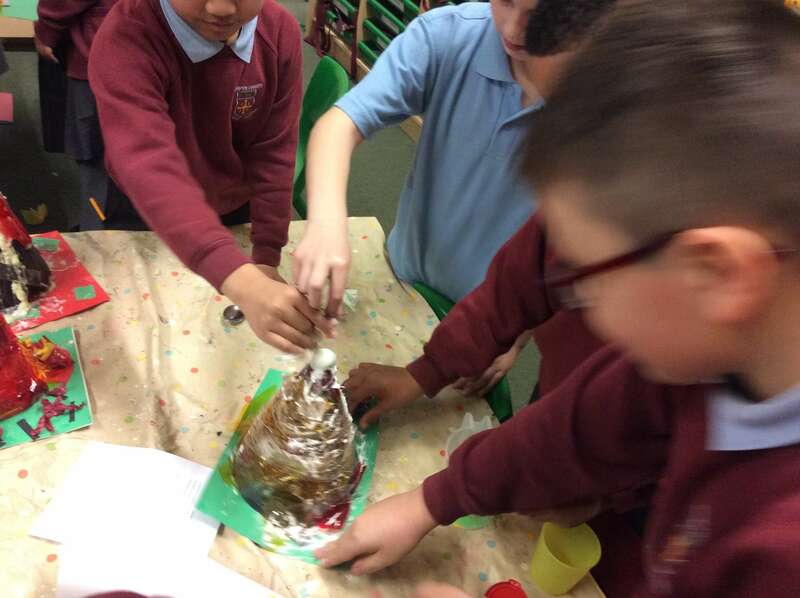 The other alternative was to create the eruption using baking powder, water, vinegar and soap. We decided that this would be the better option as it was safe and the items we needed were easy to source. We planned out a set of instructions on how to make the eruption together in pairs. 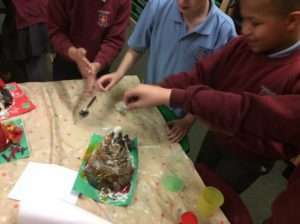 On Tuesday, we got into groups and began to construct the outside of our volcano. 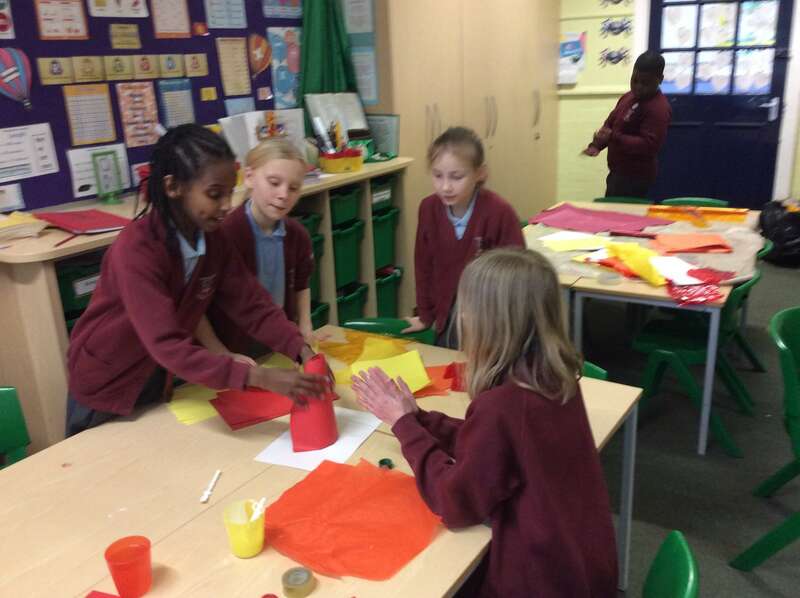 We began designing around a plastic bottle using card, tissue paper, and crepe paper. 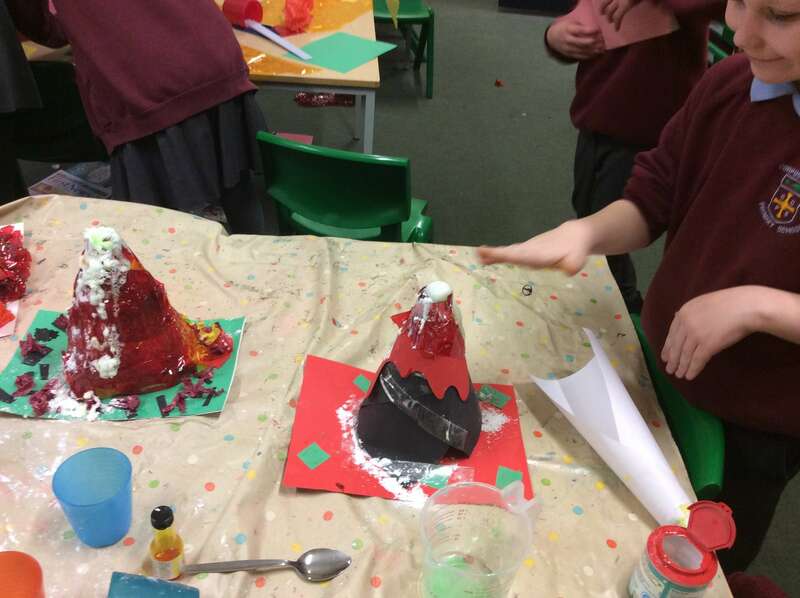 Once we had designed the volcano we followed our instructions in order to create an eruption.